Earlier in our blog series we shared information on application load testing with Apache JMeter and its logical architecture. Recently we had a chance to setup a performance testing infrastructure for an Apache OFBiz project. The goal was to put OFBiz under a heavy load to prove it was able to scale properly, and to do some capacity planning. 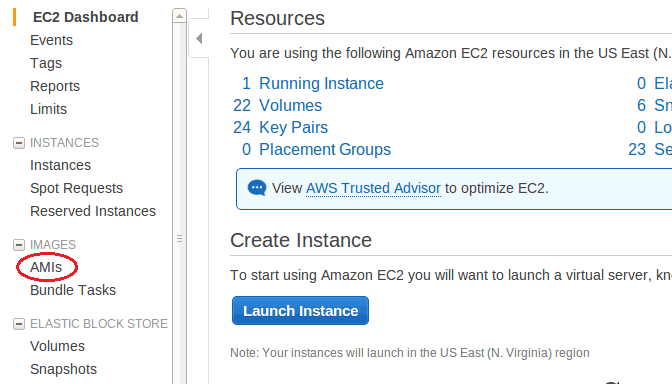 Here, we are sharing a step by step guide to restore pre-build Amazon Machine Images to load test OFBiz. 3. Select ‘US East (N. Virginia)’ area from the right top corner of the screen. Once the above steps have been performed, we have a list of images available that can be selected and restored for performing further tests. The steps to restore the images are defined below. The respective values, type and port details of images for instance, can be referenced in the table below (Table-1). Select any of the image and click on the ‘Launch’ button. Select <INSTANCE_TYPE> and click on the ‘Next:Configure Instance Details’ button. Click on the ‘Next Add Storage’ button. Now click on the ‘Next:Tag Instance’ button. Add the name of the instance in the ‘Value’ field. Click on the ‘Next:Configure Security Group’ button. Click on the ‘Add Rule’ button to add the new TCP rule (Select Type: ‘Custom TCP Rule’, Protocol: ‘TCP’, Port: <PORT_NUMBER>, Source: ‘anywhere’). Click on the ‘Review and Launch’ button. Click on the ‘Launch’ button. You can see your newly created instance in ‘INSTANCES -> Instances’ link from the left nav bar. Select the instance and make note of the PUBLIC and PRIVATE IPs. III. Steps to connect to the newly launched instances using the SSH command. Login into the ofbiz server via ssh and then perform the following operations. We have used a single machine with two JMeter instances to make up the two users “jmeter1” and “jmeter2”. Each user will have separate JMeter and jdk setups available for their use. Once you have prepared and tested everything, using one JMeter instance and one User configuration, you can add more JMeter instances on the same machine and run a series of test cases to stress your application. This is how to load test Apache OFBiz on AWS.